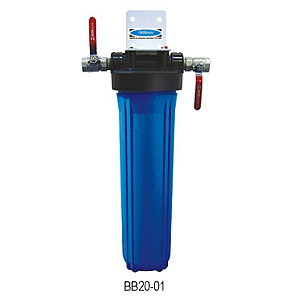 PurePro Aqua-One (BB20-01) Whole House Water Filter Systems are modular systems that allow you to custom order a water filter system for your water treatment requirements. This ensures removal of all contaminants pollutants and turbidity found in your water so you have the best combination of water pressure and water quality. This Jumbo Filter is 5 microns pre-filter designed to remove sediment as well as other biological contaminants. It comes in two options with varying proportions of flow rate and sediment removal.